No worries. Just delete it! Maybe it will work but the wiper wont? It will work. But your rear wiper wont. Altima works etc. This thread reminded me to swap my new switch in. Ran out and did it last night. Only took like 5 minutes. Super easy. Two philips screws. Pry open and remove upper and lower housing with a plastic trim tool. 2 more screws. Unclip harness. Pull old switch out from above the column. Reverse steps to put new one in, and done. Now I just need to put the fogs in. That's gonna take a bit more time. Last edited by karmajack; 05-20-2018 at 07:34 AM. Why even use the switch. Mine stays on all the time. Should have just wired them that way. LOL. 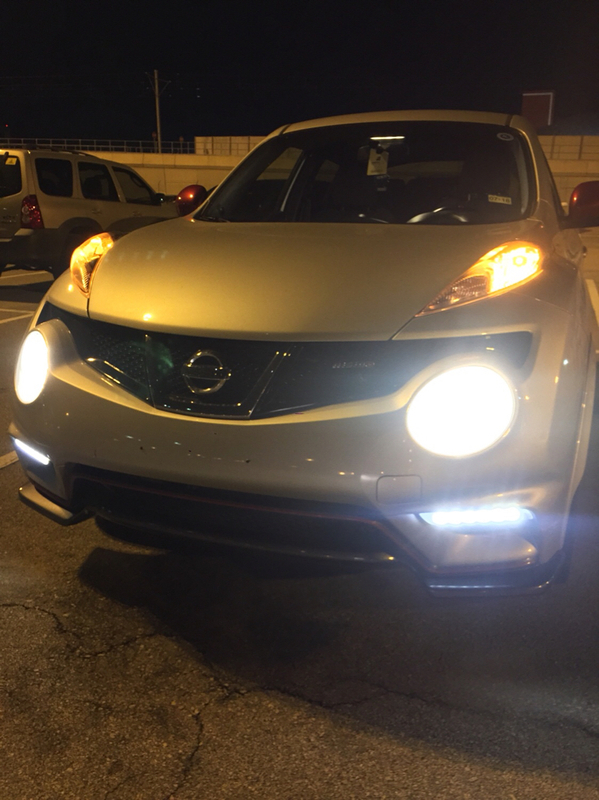 Got the switch from a salvage Juke w/fog lights. Works great. Thought I would be able to turn them off and on when the headlights aren't on though. So they still work as DRLs with that juke switch? Current: 2014 Juke White NISMO RS AWD Stock. Yes they work like DRL’s all the time that the car is running and emergency brake in disengaged position. The switch allows you to keep them on when you turn on the headlights. Well you can use an Altima or Maxima. You wont have a rear wiper anymore. Juke Interior - blank switch plate?